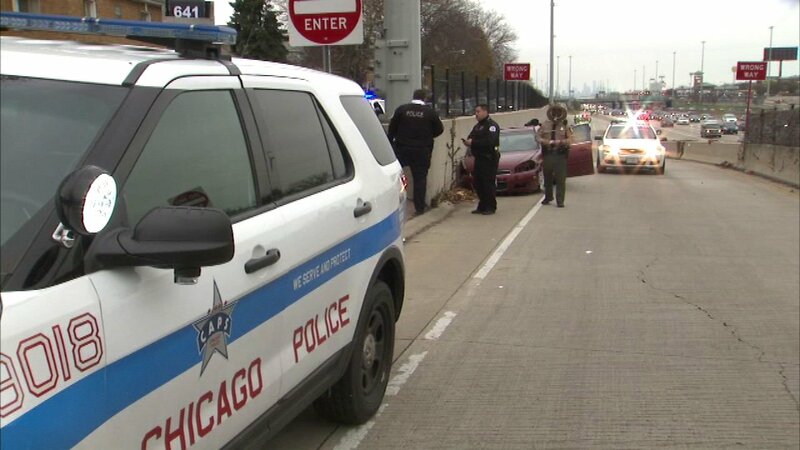 Thursday afternoon and chased the suspects until they crashed on the Dan Ryan Expressway on the South Side. CHICAGO -- Two people are in custody after Chicago Police officers witnessed gunfire Thursday afternoon and chased the suspects until they crashed on the Dan Ryan Expressway on the South Side. The officers saw shots fired from a vehicle at 1:06 p.m. at 75th and Evans, according to Chicago Police. They chased the vehicle until it crashed near 82nd and the Dan Ryan, according to Illinois State Police. The vehicle had also been reported stolen. Two males were taken into custody and taken to hospitals with non-life-threatening injuries, state police said. A weapon was recovered, according to Chicago Police.